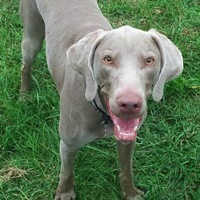 - Indiana Weimaraner Rescue - ADOPTIONS - Rescue Me! Weimaraner Dogs adopted on Rescue Me! This map shows how many Weimaraner Dogs are posted in other states.